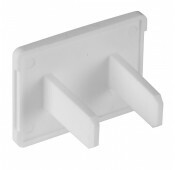 Outlet covers provide a secure fit to protect female power outlets. Compatible with NEMA 1-15R 110 VAC wall outlets. Childproof your electrical outlets for safety.